We supply leading brand curtain tracks and poles for all types of windows. Choose from corded or hand-drawn tracks, traditional curtain poles or poles with an integrated track. As the leading global supplier of curtain tracks and blinds, Silent Gliss is committed to serving the requirements of the upper end of the window treatment market. This represents customers who rightly expect the very best in terms of quality, design, technology, service and individuality. With a huge range of products any client wanting the best in manual or motorized window furnishings you cant get better than Silent Gliss. Integra Products is a UK company specialising in high quality tracks and poles. Their pole ranges offer contemporary styling or the more traditional look, with a varied selection of Wood and Metal Curtain Poles. We offer a full service including measuring, supply, and installation. Get in touch for a free consultation. Or if you already know what you want, we can give you an estimate via email. Just use our measuring guide (tracks and poles guide, curtain guide) and send us your measurements. For straight windows all we need is the width that you would like your pole or track to be – Yes, its that simple! 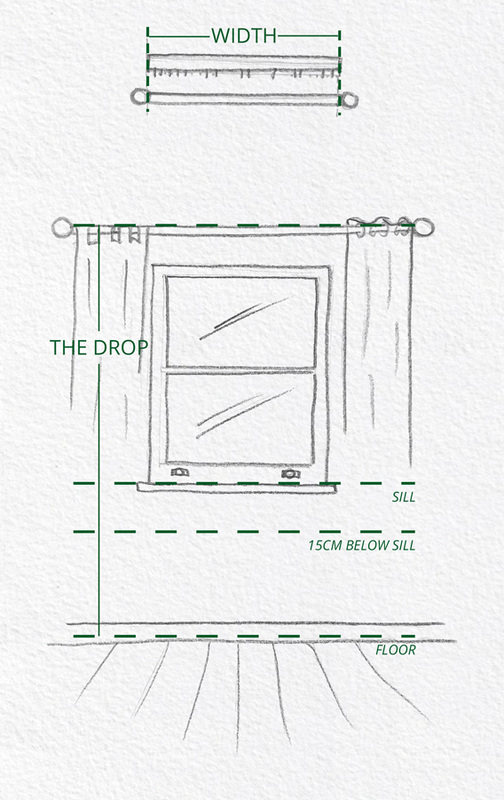 Bay windows are actually quite easy to measure if you do it correctly. Please note that bay window poles and tracks are not suitable for all types of curtains. Eyelet, slot headed and tab top curtains will not work in a bay window, as they cannot pass over the corner joints unless they are fitted as individual curtains on separate sections of pole or track. To ensure you measure accurately, you should measure the bay roughly in the position you intend to fit the pole or track. We do not advise measuring for the pole or track on the window sill as the area above can vary quite a lot. It is always best to measure your window at the location where the product is to be fitted. Before measuring, you will need to decide if you want your pole or track to finish inside the bay, in which case you will see the side of the curtains. Alternatively, you can have them extend out of the bay, in which case you will see the front of the curtains facing you as you look into the bay, which we think is the most attractive. Count the number of sides in your bay window. A side in a bay window is any flat section (see below for whether to include small sections of wall on the inside of the bay). Count each flat section in the bay window, which gives you the number of sides. Your bay may have small sections of wall on each side of the bay. 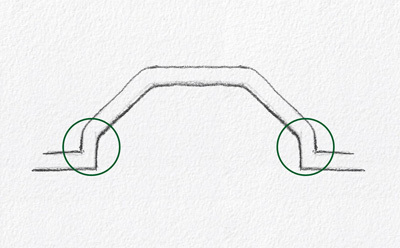 The diagram below shows the normal location of these sections of wall highlighted. These may need to be included in your measurement of the last sections. If the section of wall longer than 25cm (10″) you should include these when counting the number of sides. If not, then add them to the size of the last section. Measure around the inside of your bay where you wish your curtains to cover. Measuring each flat section/ side individually then add them together to get the total width of your window.